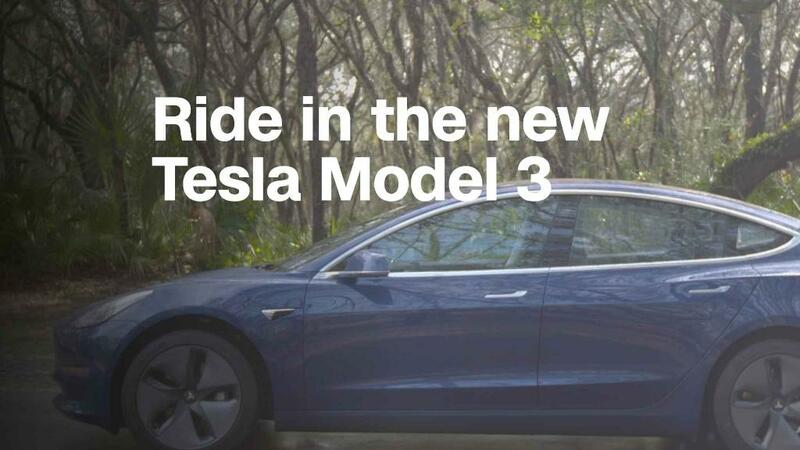 The Tesla Model 3 is frequently called "Tesla's $35,000 car." That is, after all, the base price. But the car you'll get for that price is a fairly bare-bones affair. To a large degree, that's on purpose. 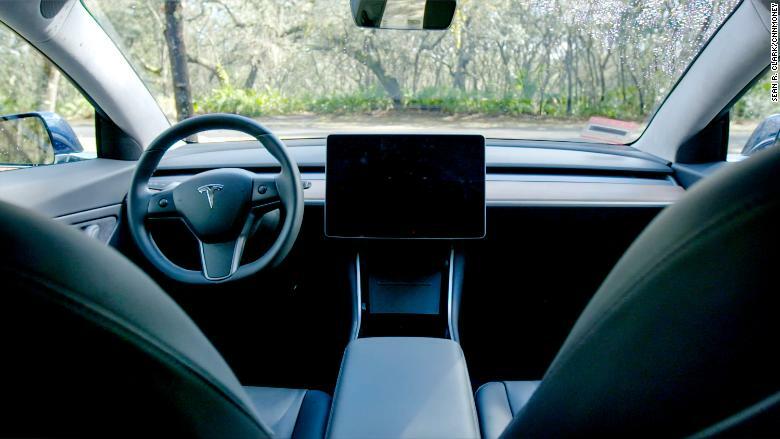 The Model 3 has a deliberately sparse interior, with no gauges, knobs or switches on the dashboard -- just a large central touch screen that provides all information for the driver. Not even the air vents stand out. It does have a reasonable amount of standard equipment, though. You get navigation, for instance, keyless entry, Bluetooth hands-free calling and music streaming, among other things. Tesla (TSLA) hasn't started building these base-level Model 3s though. There's more money to be made delivering option-heavy cars, and Tesla badly needs the cash they bring in. Like all cars, the price for the Tesla Model 3 climbs with every option a buyer adds. That's typical, but what's surprising is just how much the price can jump. 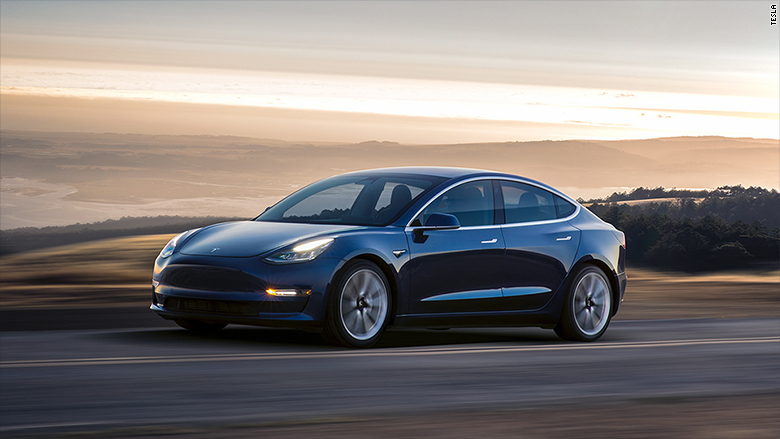 Buyers will soon be able to add enough options to a Model 3 to push the cost to at least $86,000. You could buy a Maserati for less. The top-of-the-line Model 3 will also cost more than the entry-level Model S, Tesla's larger, more luxurious sedan. This kind of pricing strategy isn't unusual in the auto industry. It gives customers the choice of buying a better equipped version of a smaller, more cheaply engineered car or a more Spartan version of a bigger and, basically, nicer car. It's like choosing between a burger with lots of toppings and a side of fries or one made from Kobe beef with nothing on it. The Tesla Model 3 has an enormous price spread. Here's a look through the menu at all the add-ons Model 3 buyes can choose. Battery upgrade. The single most expensive option on the Model 3 is a bigger battery pack. Batteries cost a lot, but driving range is a big concern for electric car buyers so they're willing to pay for it. The Model 3's larger battery back boosts the car's range by 90 miles while improving both its acceleration and top speed, raises the price $9,000. Interior upgrades. The $35,000 car has a very plain interior. If you want more, you can buy the $5,000 Premium Upgrades Package. That gets you heated seats and nicer interior trim materials, including trendy open pore wood. There are 12-way power adjustable front seats with memory, a nicer stereo, more speakers and a tinted glass roof. Paint and wheels. The only paint color available at no extra cost is black. Any other color costs $1,000, which is pretty unusual. In the auto industry, there is usually more than one color choice that doesn't cost extra. Throw in a set of sportier-looking wheels, and that's another $1,500. The Tesla Model 3's interior is deliberately designed to be visually simple. Enhanced Autopilot. This is the driver assistance system that, despite what its name implies to some, doesn't actually drive the car for you. Like driver-assist systems available from many other luxury carmakers, Autopilot matches the car's speed to that of cars ahead of it and works to keep the car in its lane. It can even handle lane changes and highway interchanges. Tesla also promises other capabilities that will be enabled over time with new software. It costs $5,000. For an additional $3,000 more buyers can get something called Full Self-Driving Capability. At this stage, that name is just not true. This feature doesn't actually do anything, yet. It just means that that, when the software is perfected some time in the future, the car will be able to drive itself. Please do not buy this and try it right away. All-wheel-drive. All-wheel-drive isn't available on the Model 3 yet, but it will be soon. Tesla gives its cars all-wheel-drive by adding a second motor that drives the front wheels. So, all-wheel-drive Teslas also get a major performance boost along with better traction. And that brings us to Tesla's recently announced high-performance Model 3, which will have a base price of $78,000. It's reasonable to assume this will be a nicely equipped car with sporty wheels. At that price, Tesla might even let you have a color besides black without paying extra. But it won't have Tesla's Enhanced Autopilot system. For that buyers will have to pay extra. So, if you want to buy a high-performance Tesla Model 3 that's self-driving-ready, that could cost you $86,000. Correction: An earlier version of this story incorrectly stated that the "full self-driving capability" requires new hardware. That hardware is actually built into all the cars. The additional payment is only to enable the capability with a future software update.